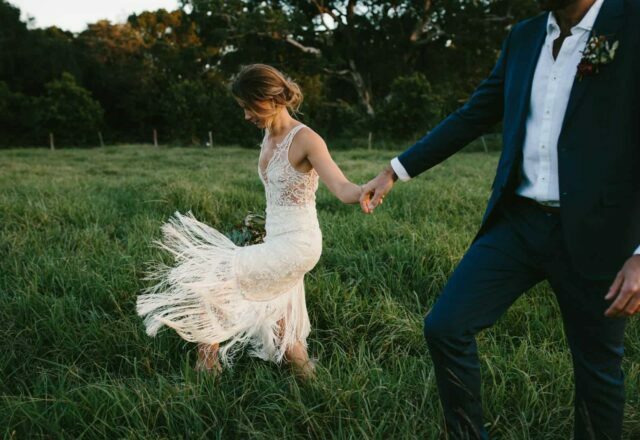 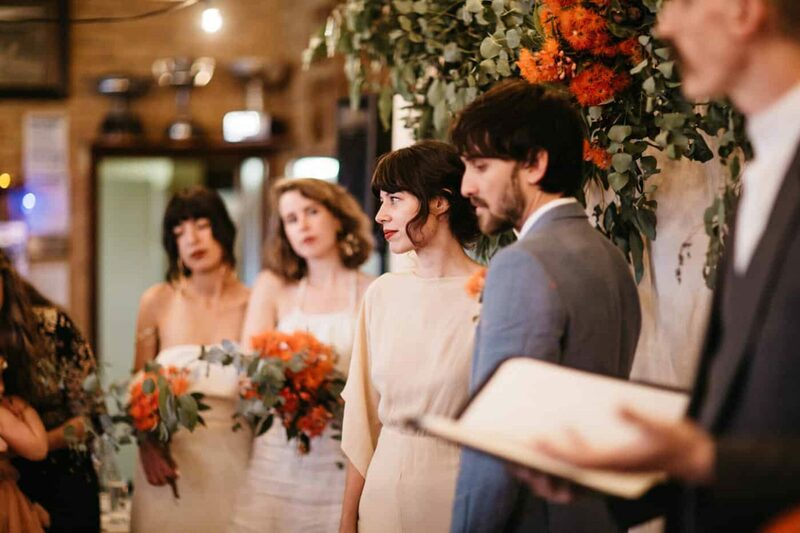 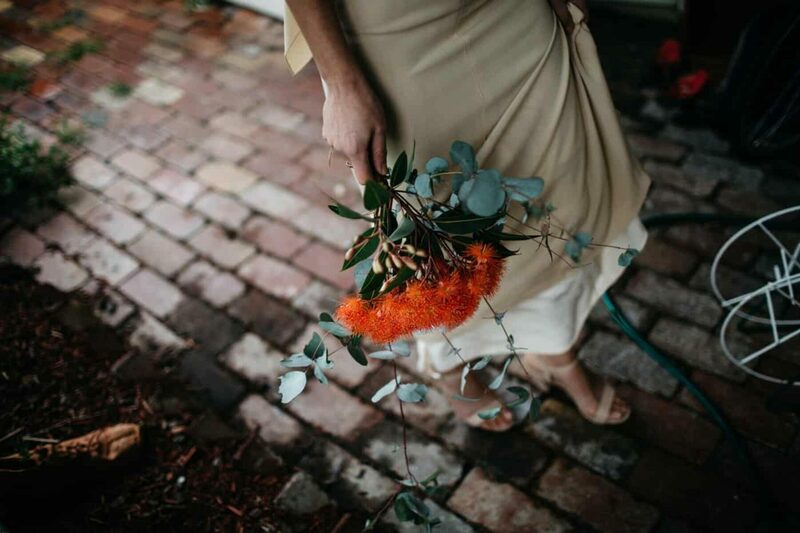 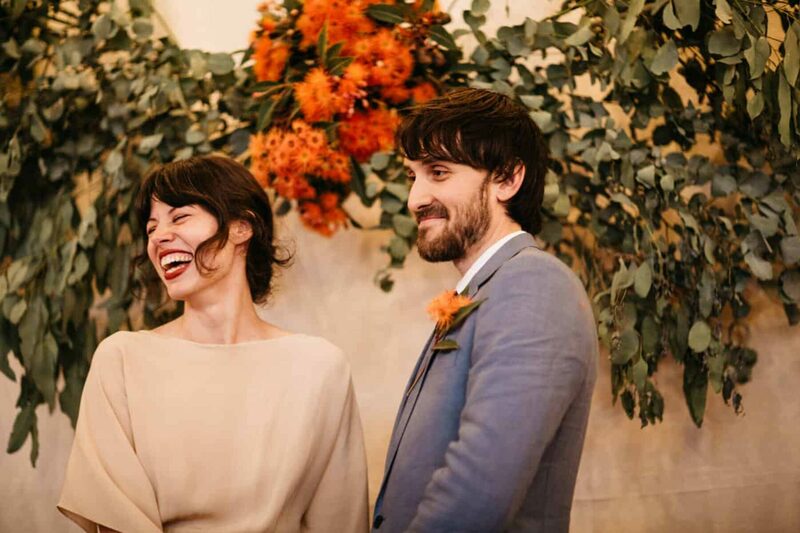 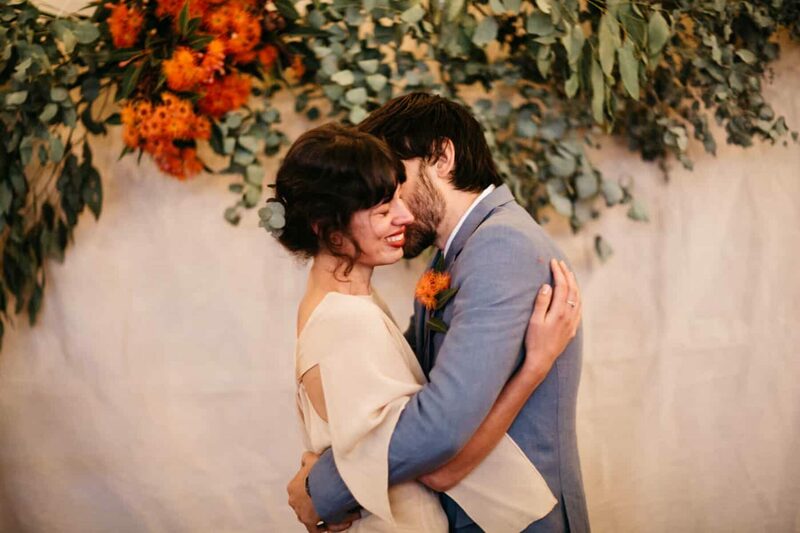 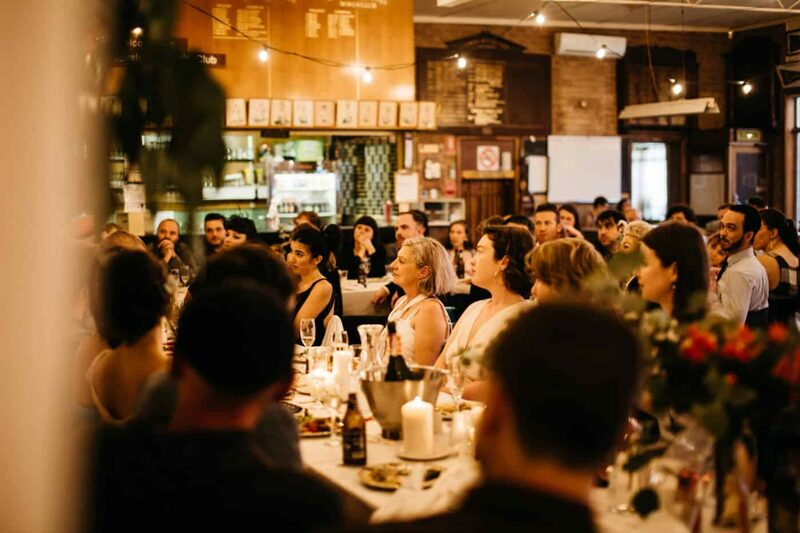 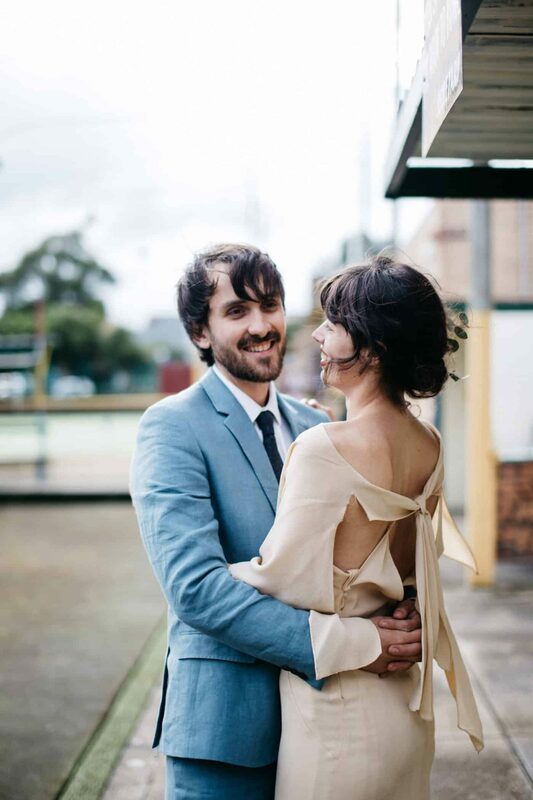 Describing their low-key wedding as a ‘community project’, Seth and Pascal worked together with their nearest and dearest to create a day that was all the more special for their involvement. 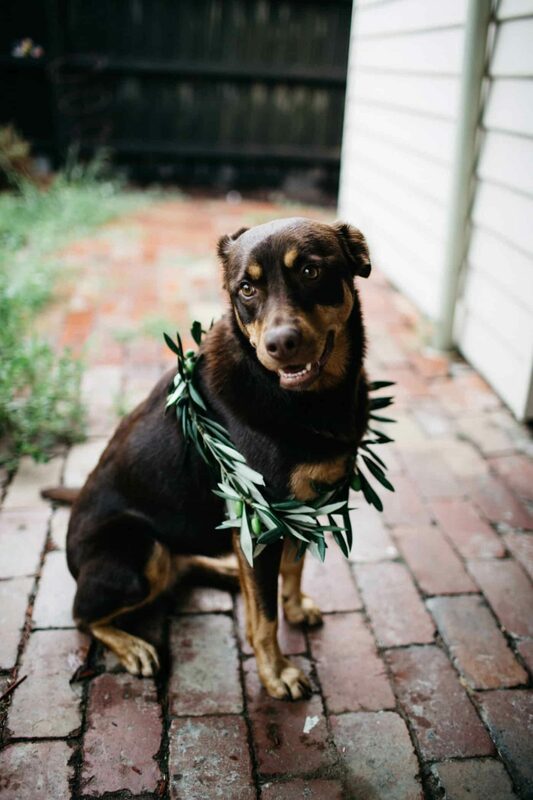 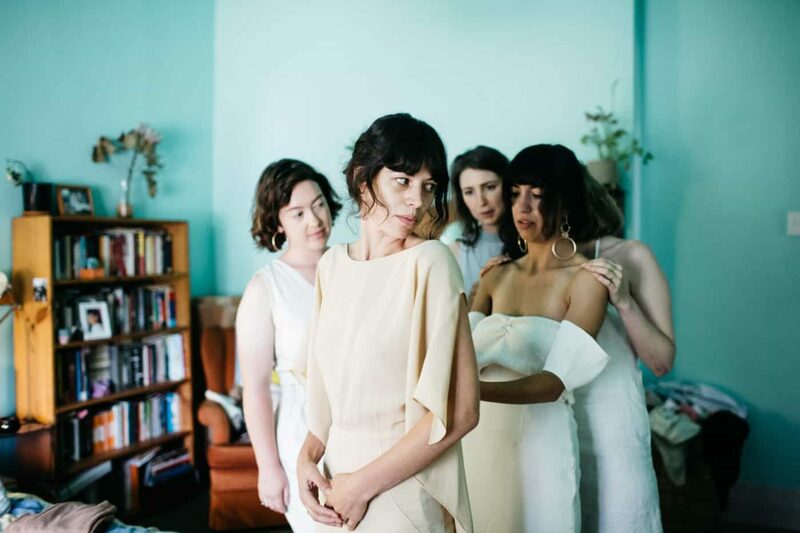 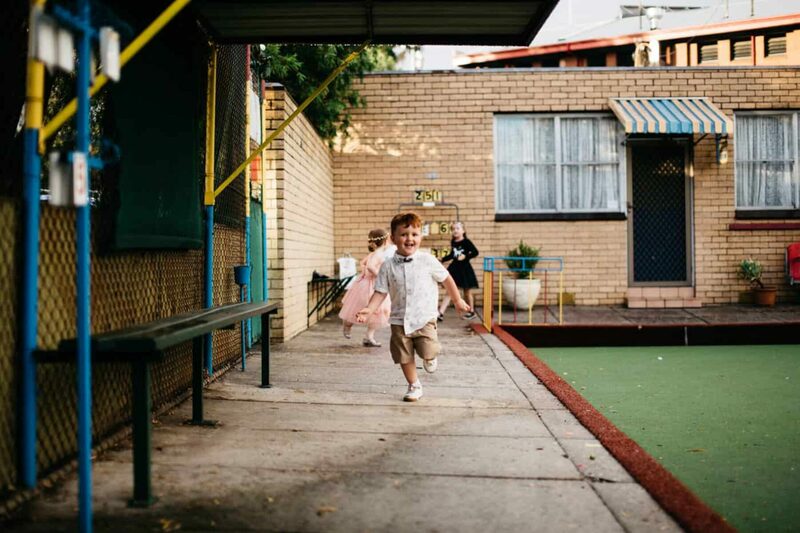 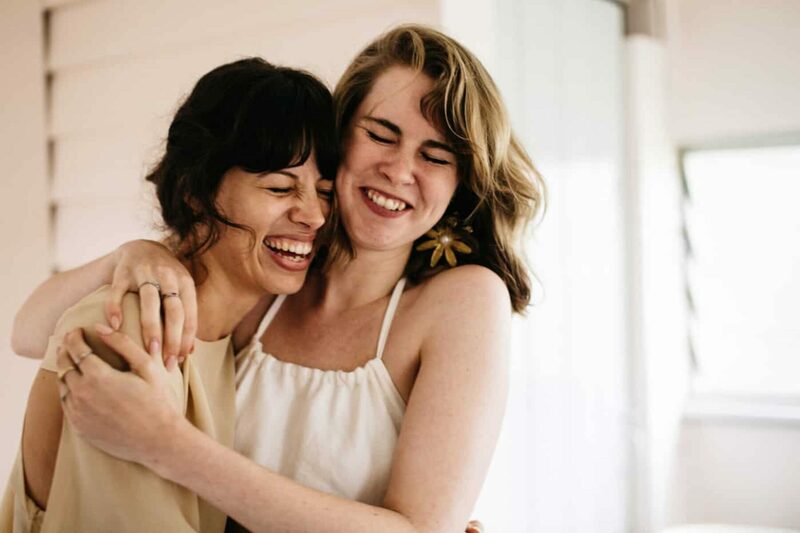 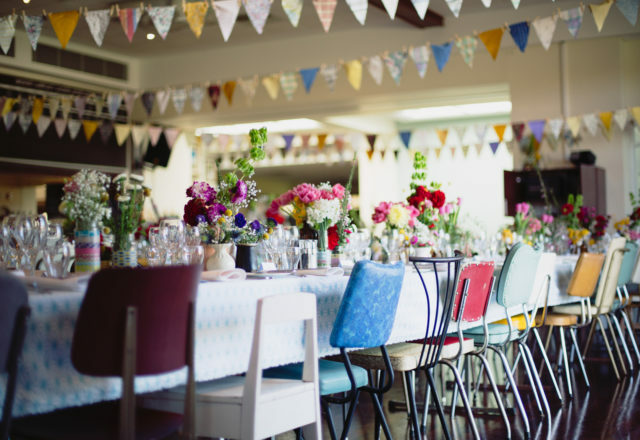 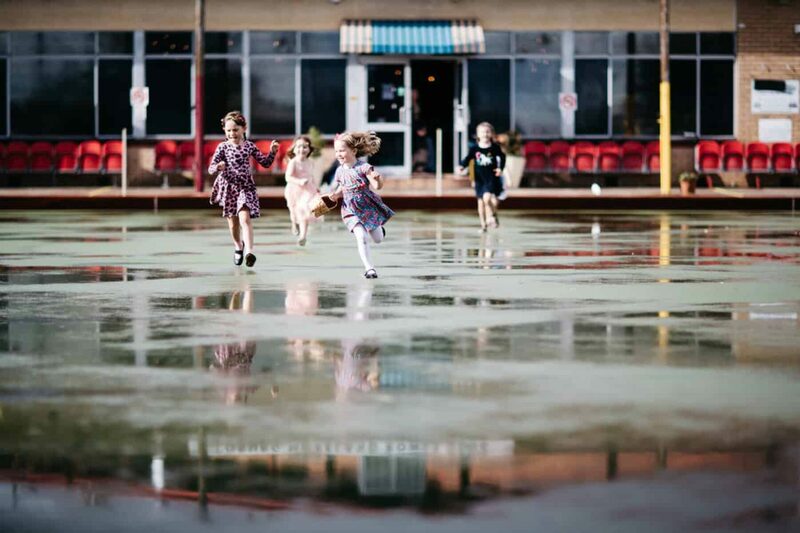 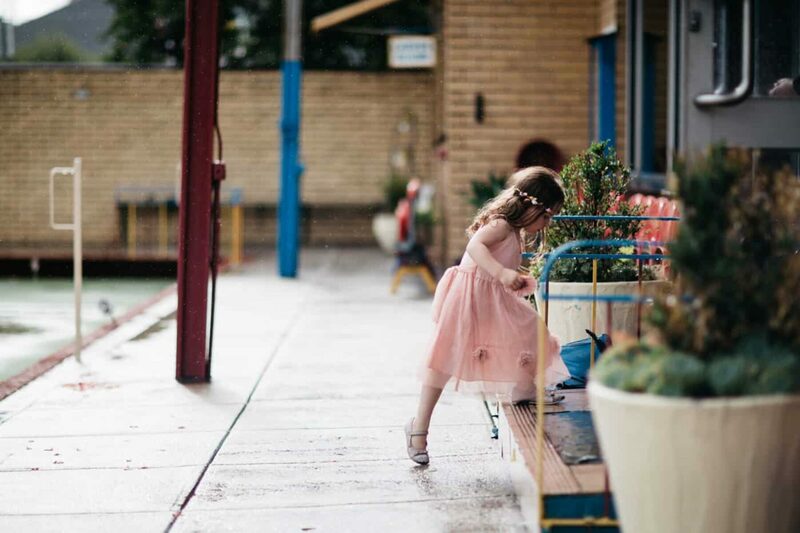 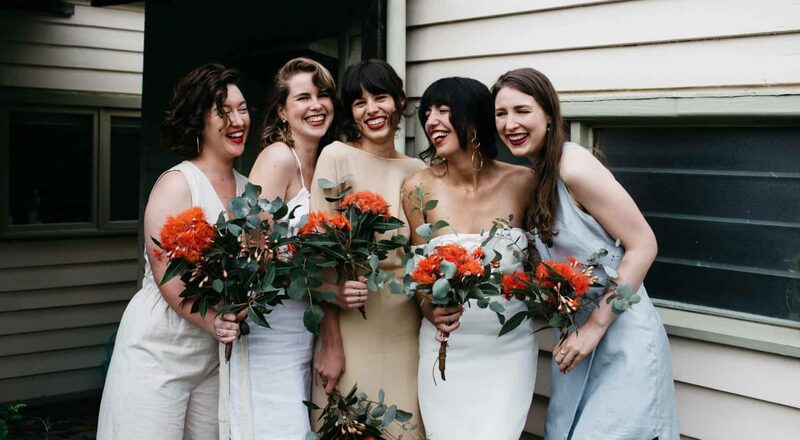 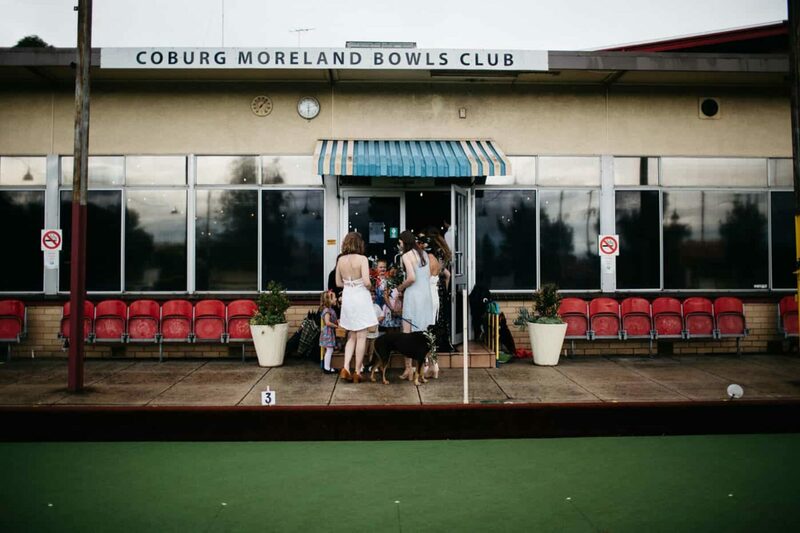 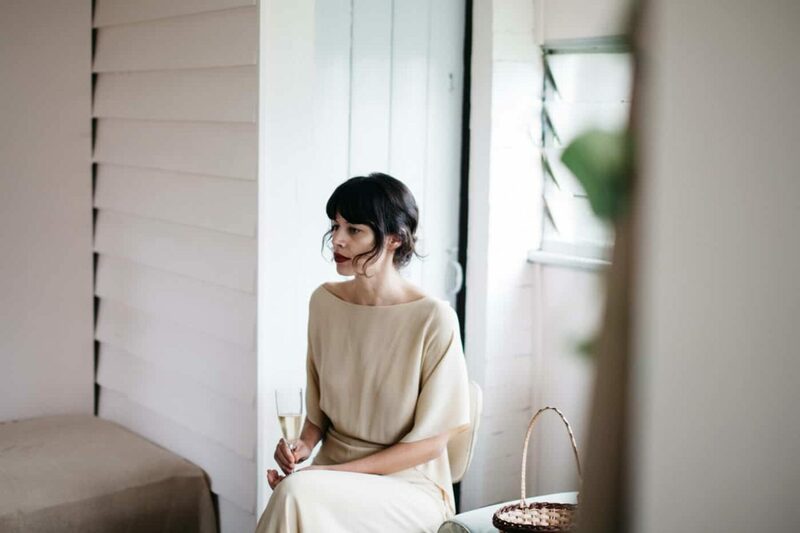 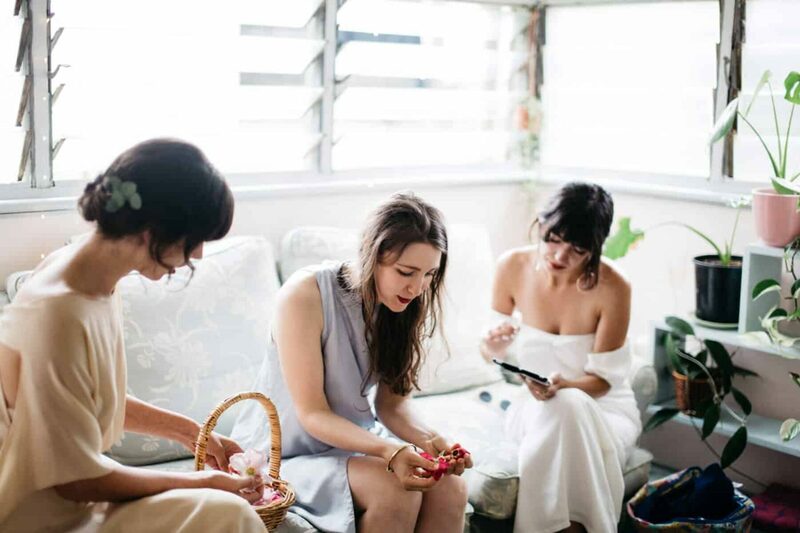 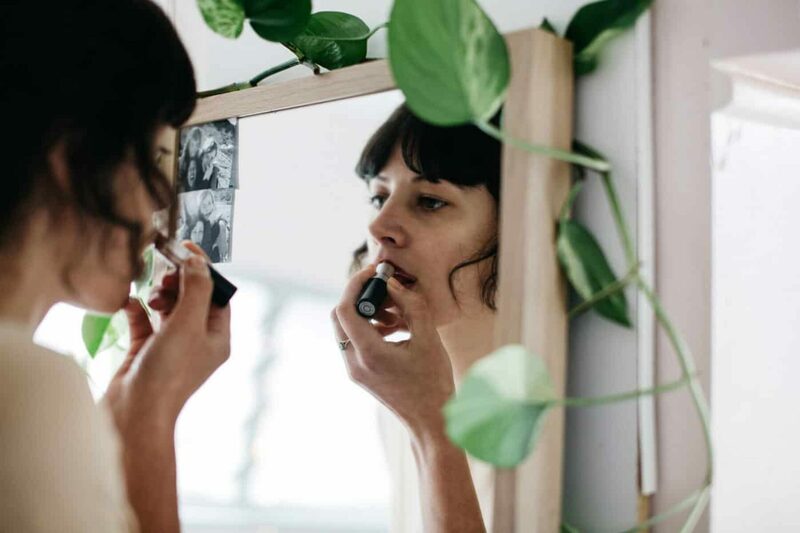 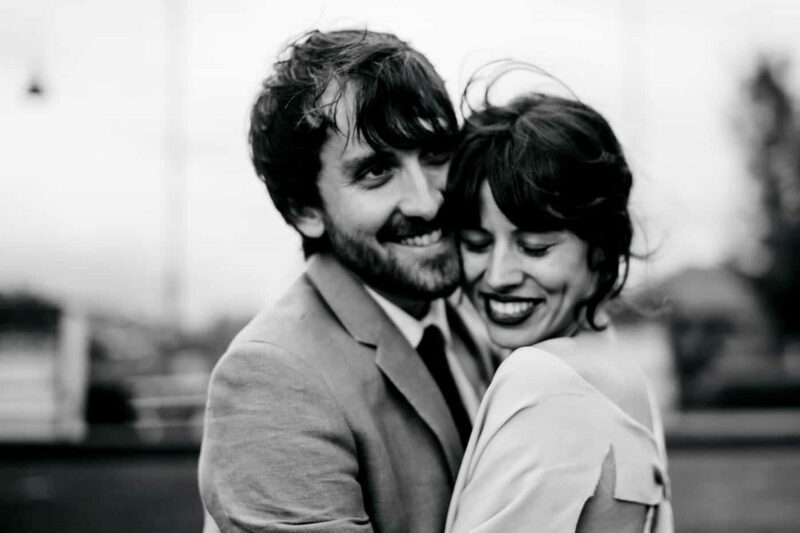 Melbourne photographer, Marie-Luise, was behind the lens for this authentic and relaxed celebration at Coberg Moreland Bowls Club. 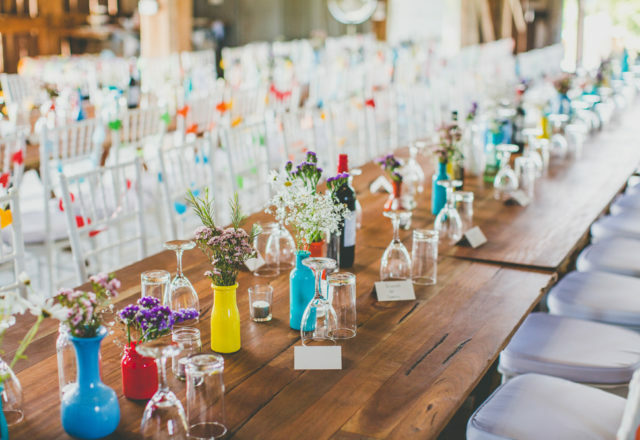 A true blue DIY affair, everything except the lighting, linen, food and glassware were thanks to the efforts of the couple and their helpers. 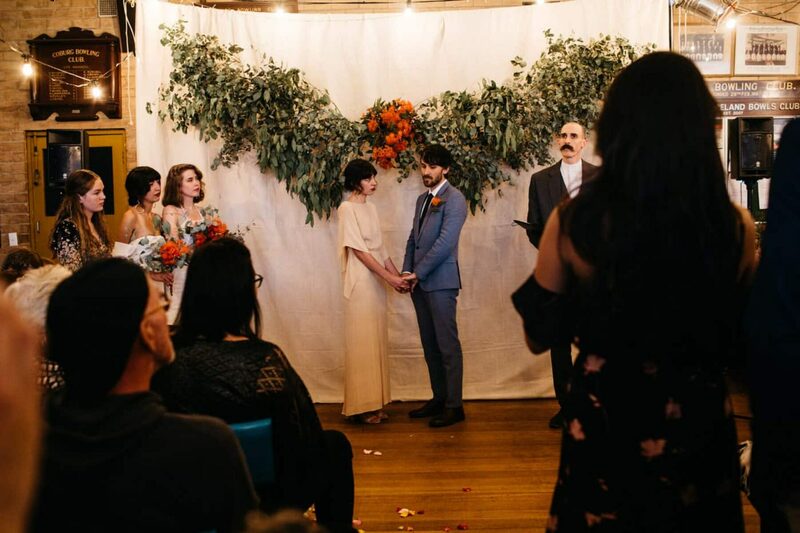 “It was a lot of work, but seeing our community come together so joyfully to help us put on the party was one of the most special things about our wedding.” Dinner was a buffet style spread from Moroccan Deli-cacy (the team behind the legendary Moroccan Soup Bar). 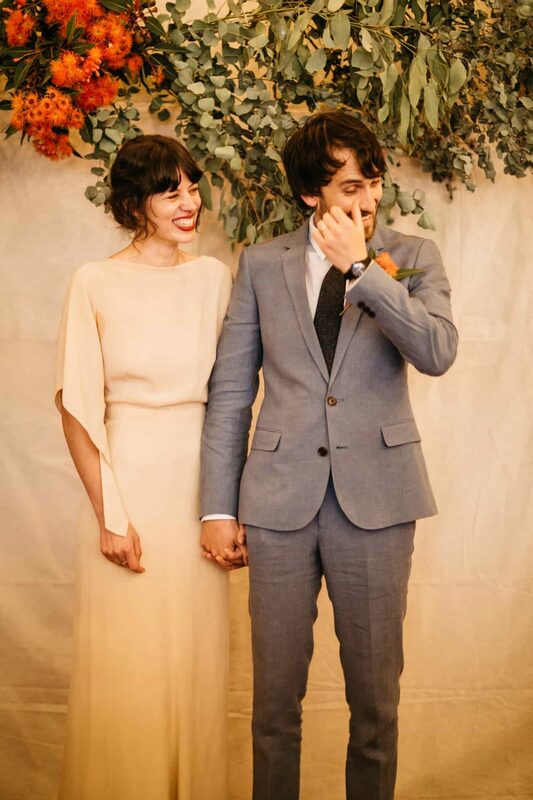 Seth wore a divine vintage 1940’s cream crepe dress that she found on Etsy store Hungry Heart Vintage. 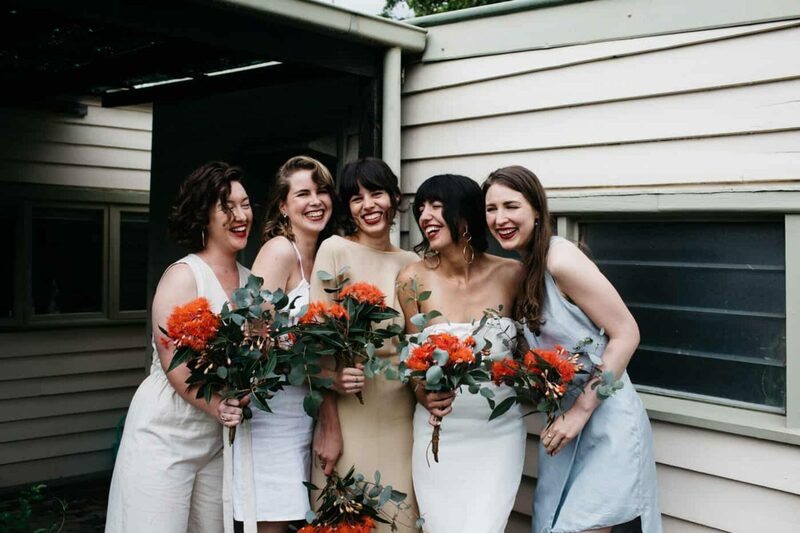 Her bridesmaid’s donned dresses from their own wardrobes in light tones, which matched the laid-back vibe of the day. 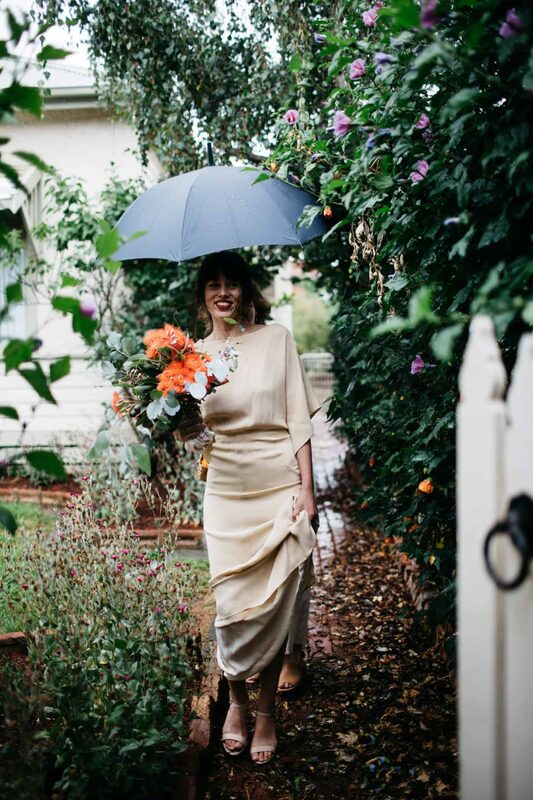 It really has that vintage look! 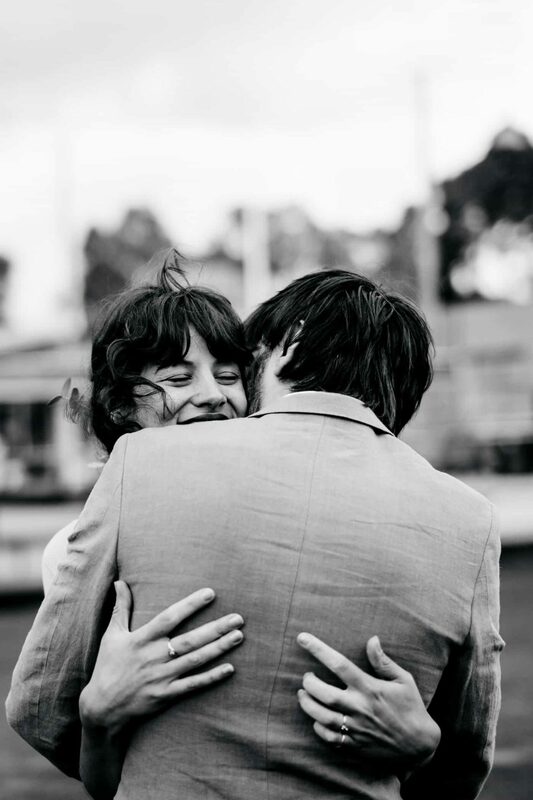 I love the moments captured in this wedding. 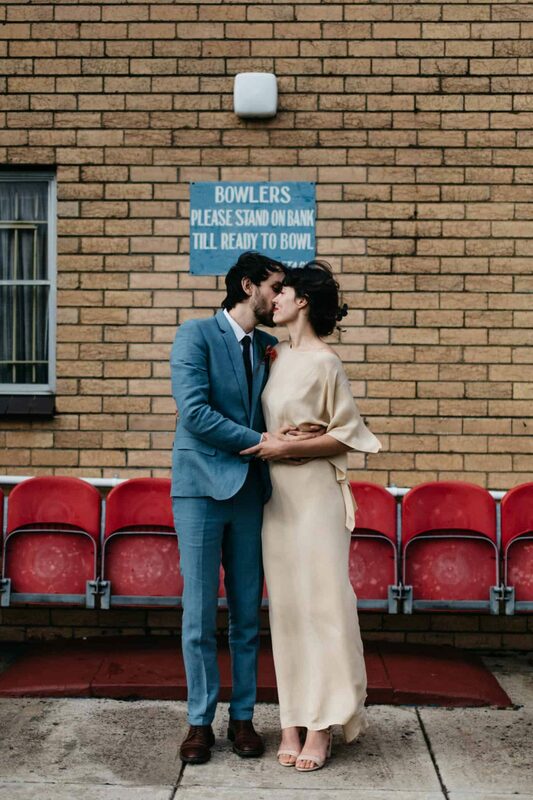 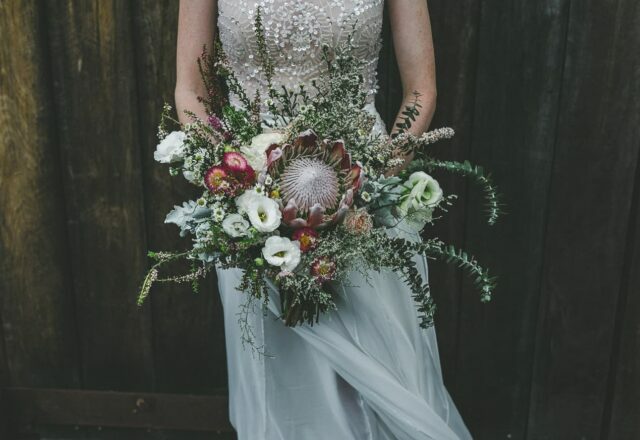 Having a wedding at the Bowls Club is definitely a unique and daring choice. 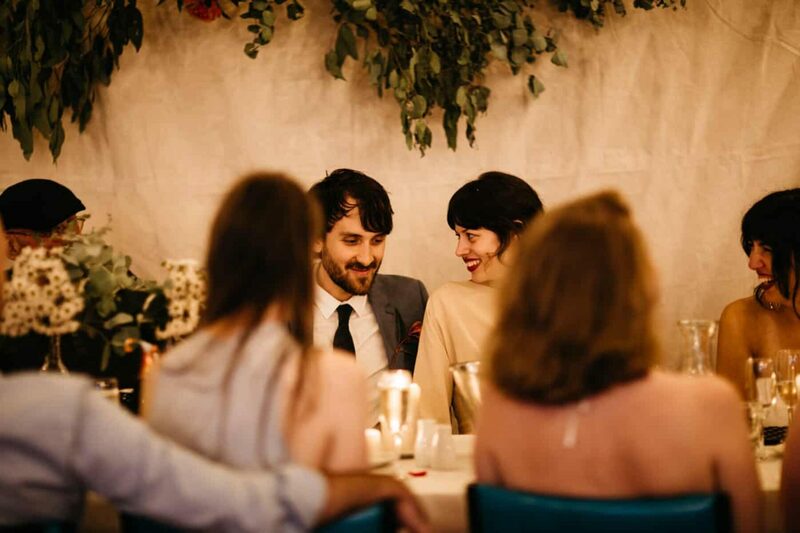 But it was overall very nicely planned! 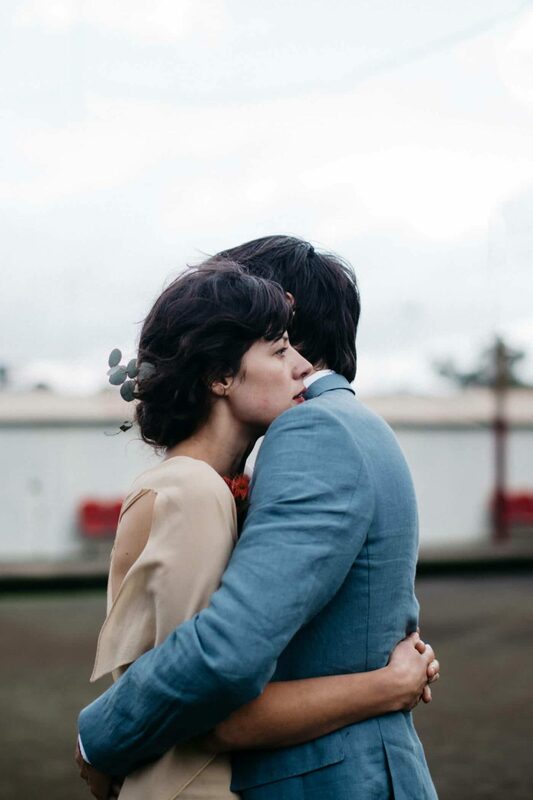 Wonderful !! 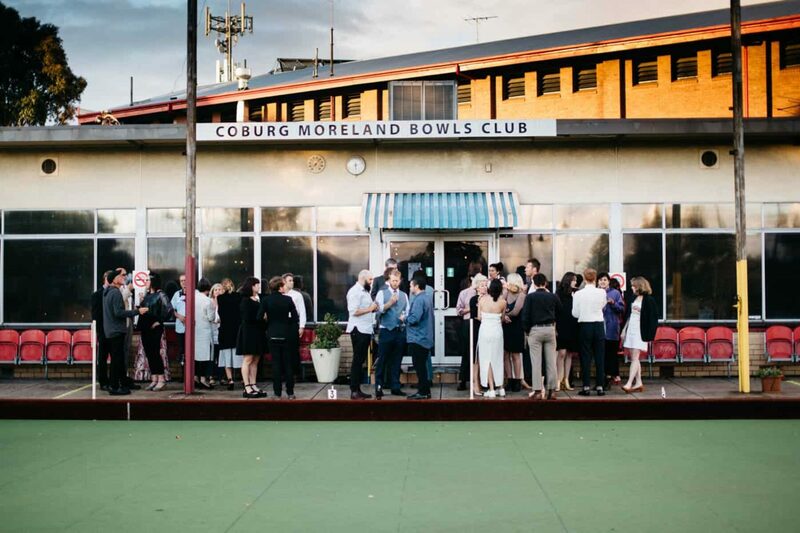 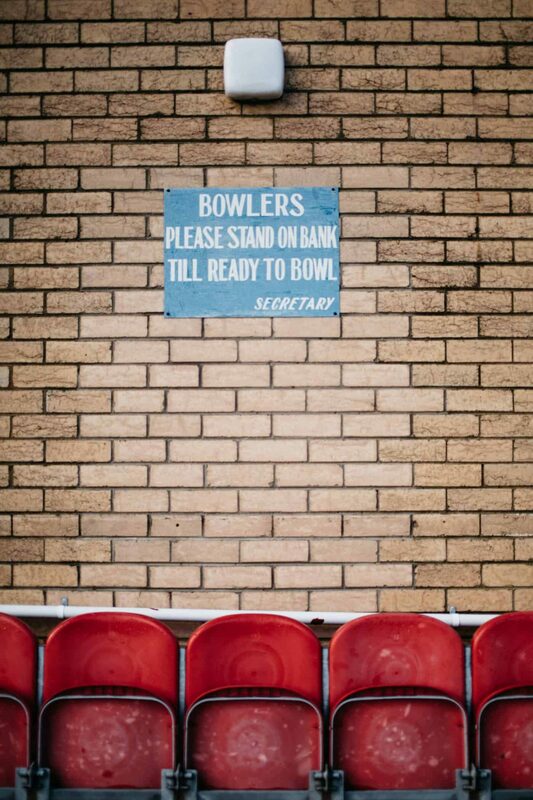 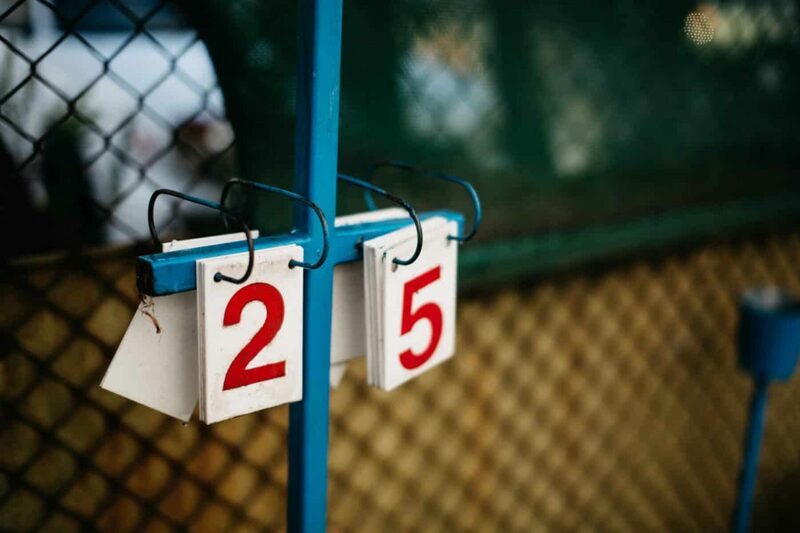 Great post, but there’s a spelling mistake – it’s Coburg Moreland Bowls Club, not Coberg.